The venue for today's event was Lincoln Hills Golf Club. 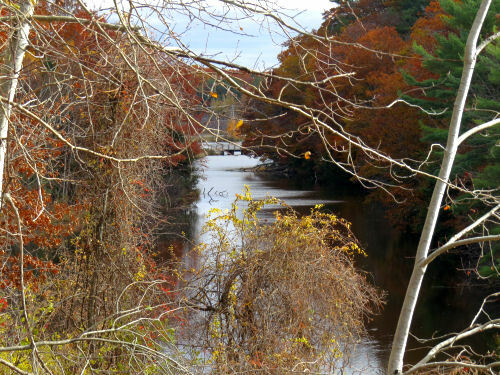 I'd never been there before, so did not know you could get a view of another piece of the Lincoln River. This is looking east, back toward the bridge on Lakeshore Drive, with Lincoln Lake beyond the bridge. Having this piece almost completes my quest to find the north branch of this river at every accessible point. Just a few more. 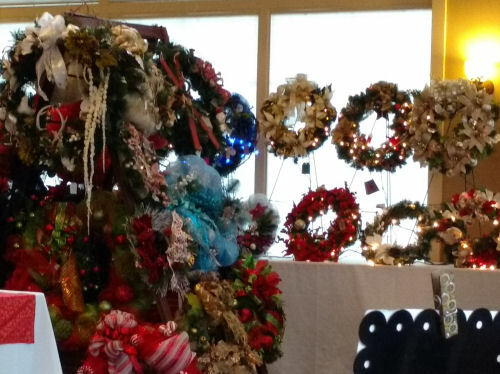 Inside, the clubhouse was stuffed with Christmas vendors. I'm just showing you a couple of the more festive ones. Did fairly well as far as sales, and I got to chat with some other local authors as well. There is no other news. This took all day beginning early, and I'm settled in with a book. Glad to hear you did well with sales. Looks like there were some nice items for sale. 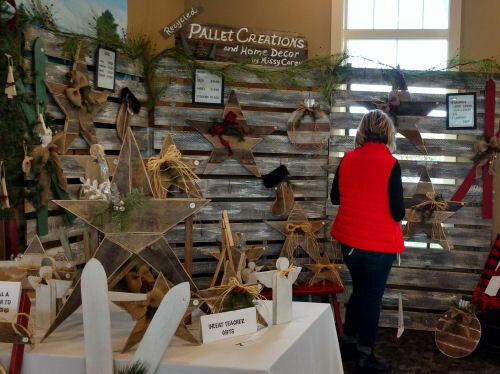 I especially like the pallet creations.